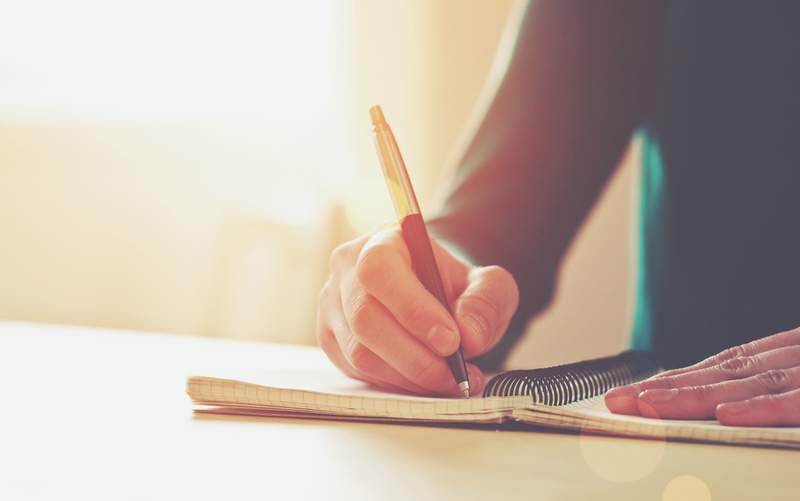 You’ve made a pact with yourself—this is the semester you’ll finally nail that 4.0. But it will take a lot more than just hitting the books to get there. In fact, our environment, quality of sleep, and mental state can play a huge part in our overall productivity. Our brains are wired to respond to external stimuli, so if you really want to succeed in your classes, it helps to pay attention to the design of your study area as well. Here are a few tips you can use to give your area a productivity makeover. Now that you’re out on your own, it can be easy to forget about picking up. And with five classes, a research project, and making time for socializing, you hardly have time for eating, let alone chores. Unfortunately, you’re not doing yourself any favors if you’re not keeping your dorm room or apartment clean. Researchers at Princeton University found that cluttered spaces adversely affect productivity; too much visual stimuli makes it harder to focus on the task at hand. The external sensory elements compete for your attention at a subconscious level, so even if you can’t feel it, that essay is probably taking longer than it should. It’s like your roommate’s holding band practice right next to your laptop. Just picking up regularly will help, of course. But you should also concentrate on clearing clutter from your desk, dresser, and bedside table surfaces, too. It’s all too easy to cover these spots with wallets, toiletries, books, and other items—but this stuff counts as clutter to your mind, too. Experts say that Americans don’t really have the best ideas when it comes to lighting. Specifically, we tend to flood our interiors—and especially our workspaces—with a little bit too much light. Very bright spaces can cause what’s known as “disability glare”—which actually makes it harder to see the textbook in front of you. 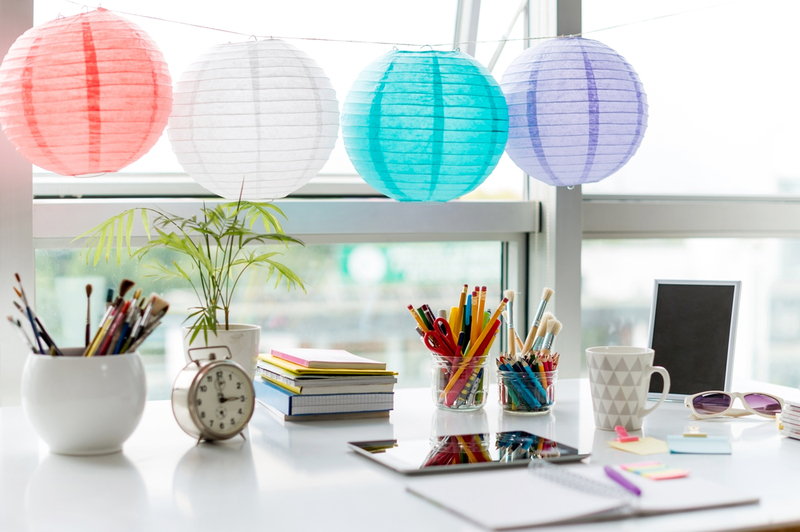 While you probably don’t have much control on your dorm or apartment’s overhead lighting, you’ll generally find your concentration improved if you switch off the big fluorescent lights and rely instead on a variety of eye-level lamps. Another thing to consider? The color of the light has a huge impact, too. Bulbs typically range from cooler colors—blues and whites—to warmer yellowish, orange, and reddish hues. While studies show that cooler lights tend to energize, if you sleep near your study area, you should be wary about installing these bulbs. Cool-colored light can affect your circadian rhythms, particularly if you do most of your studying in the late afternoon or evening. And if your internal clock gets off schedule, the quality of your sleep will plummet, making it much harder to concentrate. First thing’s first: if you’re reading this from bed, don’t! Using your mattress for studying, surfing the web, or anything other than sleeping can really wreck your night’s rest. A study published in the Journal of Sleep Research found that participants who used cell phones and computers in bed got much less sleep than those who didn’t. That’s because your brain forms a subconscious association with this spot as a place for waking activities. So, if you want to be more productive and get better rest, it’s a good idea to get to know your desk. To make working there more amenable, clear off everything except the items you regularly use, like a pen and a pad of paper. If you can, try to divide your workspace into two different “zones”—one for taking notes by hand, and one for using your laptop. And make sure you have a trashcan at the ready so that you can keep clutter in check once and for all. Your education is too precious to let a little disorganization stand in your way! All views and opinions of guest authors are theirs alone and are not representative of the views of Peterson’s.